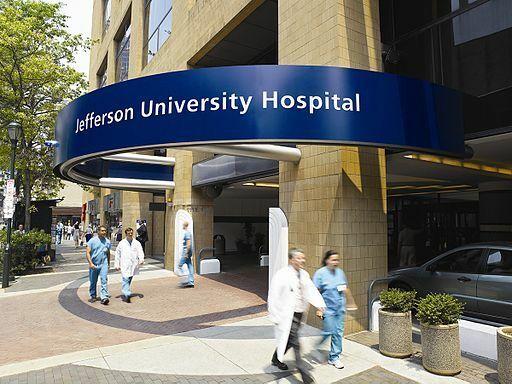 PHILADELPHIA - The Superior Court of Pennsylvania has upheld a ruling in favor of a hospital after a woman sued her husband’s health care providers because his cancer returned and the hospital didn’t inform them or provide proper treatment. After Robert Murray died in 2012, Denise Murray filed a medical negligence lawsuit in a Philadelphia district court against Thomas Jefferson University Hospitals Inc., Thomas Jefferson University, Kimmel Cancer Center and oncologist Dr. Edith Mitchell. Robert Murray’s prostate cancer had been in remission. Denise Murray claims the hospital didn’t inform them or provide proper treatment when the cancer returned, and Mitchell was on personal leave and unable to treat him. However, in her suit she did not provide dates or time periods to support her allegations, including when he was diagnosed or when the cancer returned, how long Mitchell was gone and when treatment began or ended, according to court records. She also didn’t provide the required expert reports. The defendants filed for judgment, claiming Denise Murray didn’t back up her allegations. The motion was granted and filed as unopposed. Denise Murray’s attorney requested a review two days before the 30-day reconsideration deadline, attaching an expert report. The attorney claimed he’d sent an email to the judge’s clerk explaining that the defendants were “stone-walling him.” When the court didn’t grant the reconsideration, Denise Murray appealed. The appeals court examined Denise Murray’s claims that the trial court should have considered the email a “proper response” to the defendants' request for judgment and pardoned the technical error. She also claimed the request for sanctions was in response to the motion for judgment and also to reprimand the defendants for the refusal to cooperate with discovery orders, from their disposition to allegedly withholding and destroying evidence pertinent to the case. As a result, Denise Murray said the trial court prematurely closed the case. In its opinion, the appeals court agreed with the trial court’s procedures when it granted four extensions for Denise Murray to produce expert reports. It also accepted three of her four amended complaints. According to court documents, Denise Murray attempted to reinsert claims prohibited from prior amended complaints. Further, she didn’t file any new extension requests or followed protocol to address the allegedly missing or destroyed documents. One sanction didn’t correlate with the motion it was filed under, and the other required a separate disposition, the appeals court said. The appeals court concluded Denise Murray didn’t file the proper motions or paperwork, didn’t file it in a timely fashion and didn’t file it in the manner required by law. Judges Carl Solano, Judith Olson and John Musmanno confirmed and upheld the trial court decision in favor of Thomas.